Last season, the Govs finished just outside the top-five and will look to break through in the nine-team field this time around, against a field which includes defending champion (and Ohio Valley Conference foe) Murray State, as well as host ULM and student-athletes from Lamar, Lipscomb, North Alabama, Prairie View, South Alabama and Tennessee Tech. After finishing third at the F&M Bank APSU Intercollegiate two weeks ago—which followed a third-place finish at the Chris Banister Classic and runner-up honors at the Greenbrier Invitational—the Govs look to extend their program-record streak of top-three finishes to four. The Taylor’s Squared will top the lineup for the Govs to start the event. Dedmen keeps racking up top-20 finishes after tying for 10th two weeks ago, while Goodley was 13th at the home tournament and 19th in this event last season. Ashton Goodley rejoins the lineup this week, while freshman Shelby Darnell remains in the lineup following yet another exemplary performance in her first home appearance. Junior Meghann Stamps takes the last lineup spot, while senior Reagan Greene—whose 18th-place finish at Bayou Desiard was a team-best a year ago—while make the trip as an individual. Live scoring for the event will be provided by GolfStat.com. 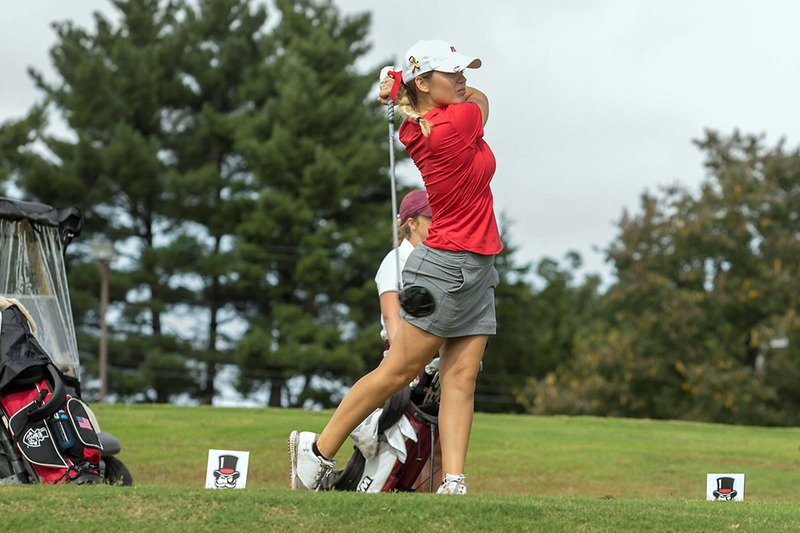 Updates will be provided throughout the day on Twitter @AustinPeayWGO, and a complete recap and full compendium of stats will be available post-round at LetsGoPeay.com.